Same day funding for invoices (once approved). Meta Bank takeover provides deeper funding pool for small businesses. In business since 1997, weathering both the technology bubble and financial crisis. Recently taken over by a publicly traded company- could pressure fees. Only offers discount factoring (customers retain credit risk). Initial funding takes 5-15 days. See above info for Crestmark Reviews. If you are a current or former Crestmark Bank customer, we’d like to hear from you. How was your experience? Are you a repeat user? 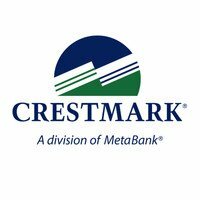 Crestmark Bank is headquartered in Troy, Michigan, with additional ‘division’ offices in Boynton Beach, Florida, Newport Beach, California, Baton Rouge, Louisiana and Franklin, Tennessee. The bank was founded back in 1997 by Dave Tull who saw the opportunity for middle market lending and small business financing. The Franklin location is Crestmark’s Transportation Services Finance Division which offers funding for truck fleets and other transportation businesses. As such, they compete with trucking factoring companies including OTR Capital, Apex Factoring, Triumph Business Capital and Fleet One Factoring. Specifically, check our Fleet One reviews to see how they score versus our Crestmark reviews. How is Crestmark Bank Different from Factoring Companies? Crestmark is a bank, not a factoring company per say, but does offer invoice factoring solutions. We like to call Crestmark a factoring company in bank’s clothing. Such funding helps B2B clients including construction companies, government contractors and manufacturing entities. Crestmark is also a direct lender, meaning they don’t rely on outside sources of capital for their funding options (and rates). Unfortunately, Crestmark only offers discount factoring. Non recourse factoring transfers the credit risk of the account debtor to the factoring company. While it is more expensive to the customer, it is a risk management tool that many small businesses appreciate (and will pay up for). Crestmark offers financing to businesses not generally covered by factoring companies. The acquistion provides Meta Bank with a national, B2B footprint. In addition to community banking and payments, Meta provides tax services to it’s business customers. Now, this service should provide a value add for Crestmark’s business customers. As long as there’s no major culture clashes or power struggles with the takeover, things should be fine. But publicly traded companies have their own set of metrics that are, by the nature of financial reporting and accounting, short-term (quarterly). We hope this can align with offering business customers the best funding options at the lowest price. An inherent conflict between the two exists. Finally, by utilizing Crestmark’s receivables management program can lead to more traditional, and cheaper, bank financing such as a small business line of credit. And your business doesn’t need to leave and go to a bank for it-you’re already there! · Same day funding for invoices (once approved). · 90% advance rates common. · Been in business since 1997, weathering both the technology bubble and financial crisis. · Only offers discount factoring (customers retain credit risk). · Initial funding takes 5-15 days.